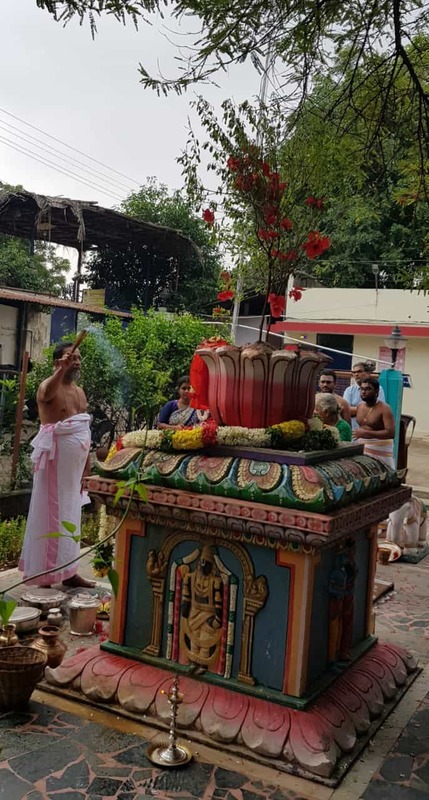 Sri Swamiji performed Thirumanjanam for Sri Madhuri Sakhi and Premika Varadan at Madhurapuri Ashram. Diwali was celebrated at the Ashram. In the evening there was purappadu for Sri Madhuri Sakhi and Premika Varadan. 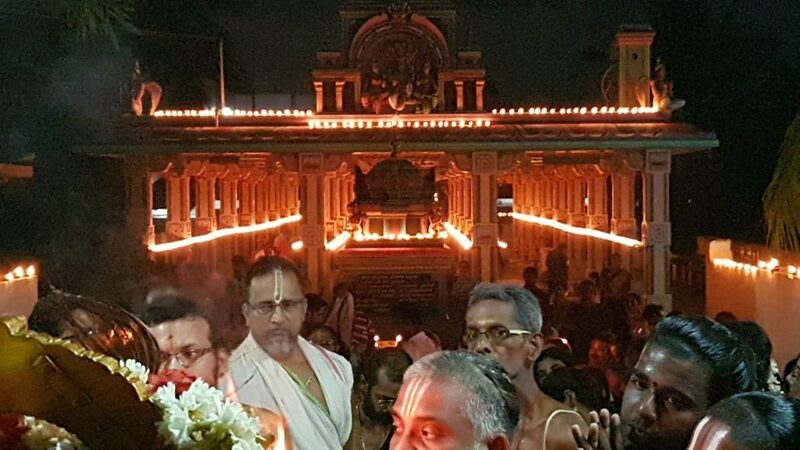 Sri Kalyana Srinivasa Perumal temple was lit up beautifully with a thousand lamps as Sri Swamiji accompanied the divine couple to the temple. Thirumanjanam was performed for the divine couple at Madhurapuri Ashram. On 11th November Sri Swamiji left to Thirunelveli Namadwaar. 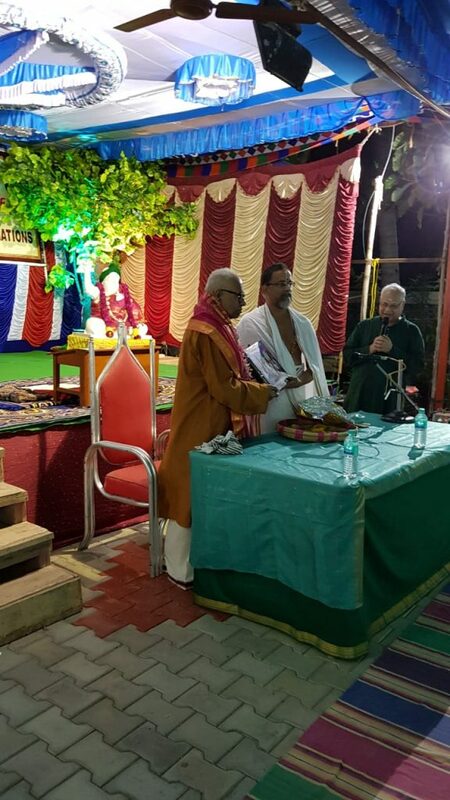 Sri Swamiji reached Trivandrum on 12th November and visited Swami Abhedananda Ashram where Srimad Bhagavata Sapthaham was being held and delivered a lecture. Sri Swamiji reached Kanyakumari on 12th night and spent November 13th and 14th in solitude at our place in Kanyakumari. 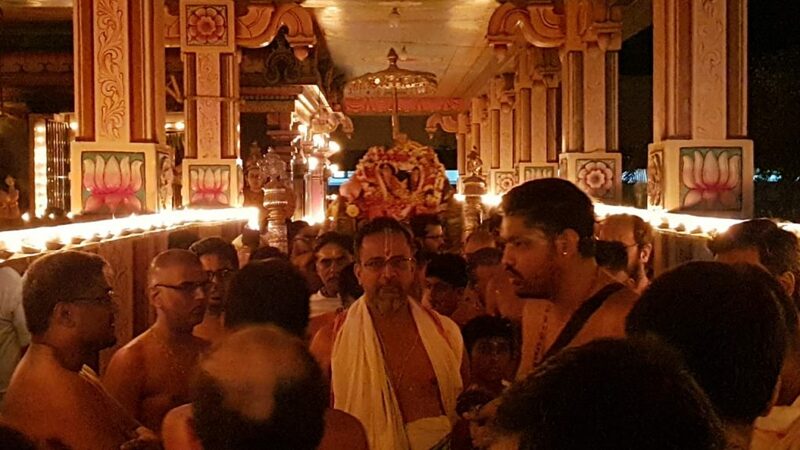 In the occasion of Gopa Ashtami, Sri Swamiji conducted Govinda Pattabishekam at Madurai Namadwaar on 15th November. 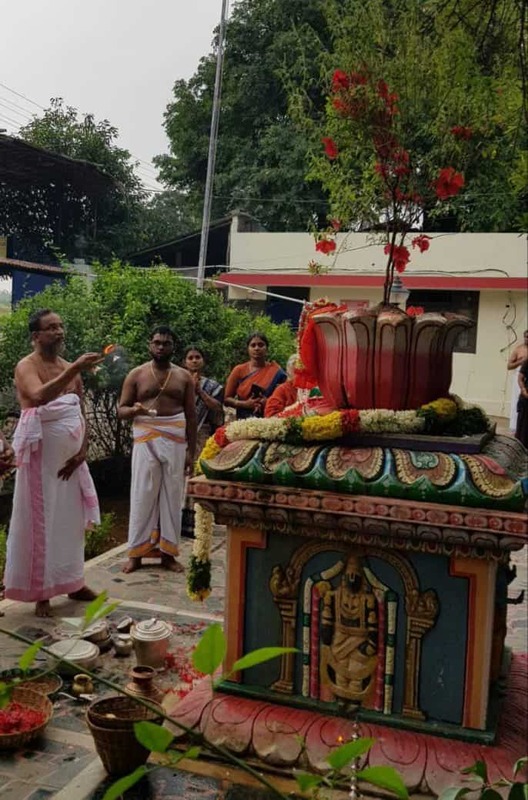 Karthika Ekadasi was celebrated at Sri Premika Vittalan Temple at Vittalapuram. Sri Swamiji performed thirumanjanam and discoursed to hundreds of bhaktas who had gathered. 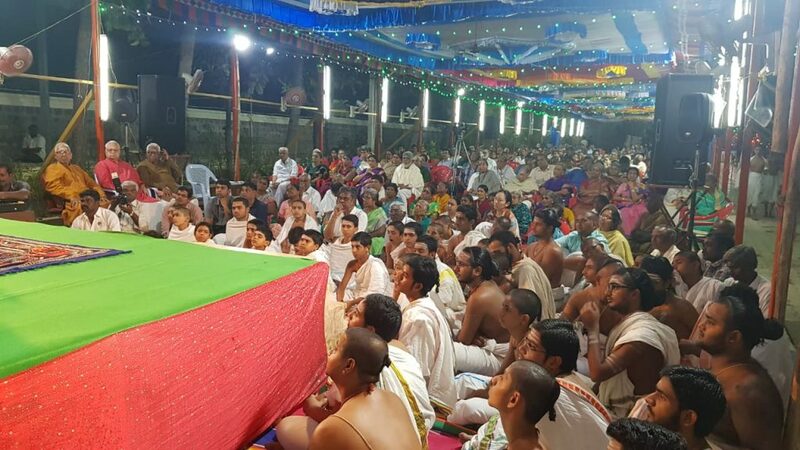 A grand Divya Namam took place from the evening till midnight on the auspicious occasion of Rasa Poornima, in the presence of Sri Swamiji. Sri Premika Varadan Clinic was inaugurated by Sri Swamiji near the premises of our Madhurapuri Ashram. This is a daily free clinic that will cater to the needs of the nearby villages. Sri Swamiji left from Chennai, to Senganur after the inauguration. 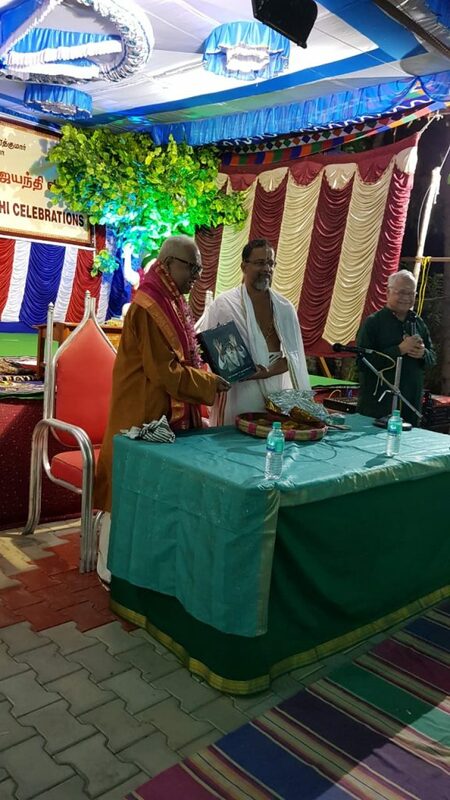 Sri Swamiji celebrated the Rohini Nakshatra day at Premika Janmasthan, with Sadguru Paduka Purappadu. 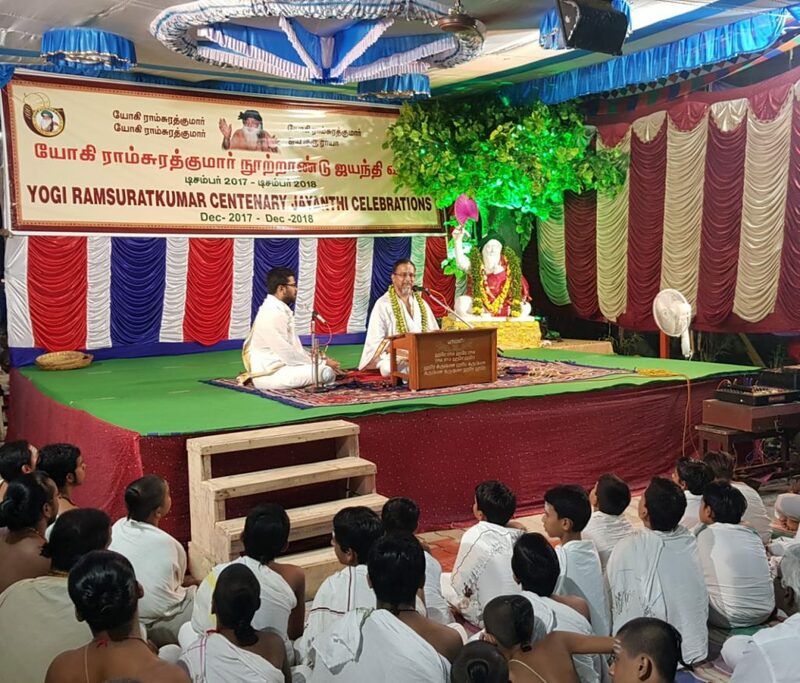 In the occasion of YogiRamsuratkumar centenary celebrations at Thiruvannamalai, Sri Swamiji delivered lectures at from 27th November to 1st December (5 Days).